FIRST OF ALL, NOT ALL CHEWING IS BEHAVIOR RELATED. CHEWING CAN SOMETIMES BE ATTRIBUTED TO MEDICAL PROBLEMS IN THE DOG, so always STAY ON TOP OF MEDICAL ISSUES WHEN EVALUATING CHEWING! Your dog loves to chew. 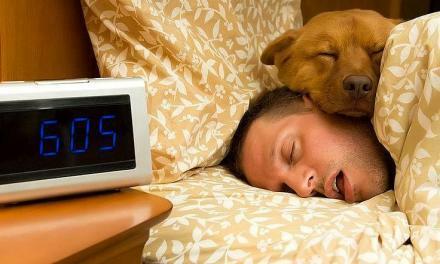 As a dog owner, you are probably already familiar with your dog’s favorite hobby. However, not everything is appropriate to chew on! Here is how to manage your dog’s chewing behavior and what you can do if you find your dog is chewing up your life. Puppies are curious! They tend to use chewing as a way to explore the world around them. Through “taste and test” behavior, puppies sniff and lick essentially everything in order to express themselves and discover new things. At about 5 to 6 months of age, around the time puppies are teething, you will notice them begin to want to chew everything! This is normal, but is also the perfect opportunity to begin teaching your dog what items are acceptable to chew on, and what items he will be expected to leave alone. Remember that puppies will often chew on different things to test what they can get away with. They are trying to find their place with you in the home, so don’t miss the opportunity to teach them what your expectations are. Be consistent. All shoes are bad shoes. If you do not want your puppy chewing on your expensive work shoes, then even your old sneakers should be off limits. Similarly, be extra cautious giving your dog plush toys to play with and chew on. There is virtually no difference to a dog between their own stuffed toy you allow them to play with and a childs stuffed animal that you would like them to leave alone. Always condition a puppy with positive training. Avoid excessive negativity. 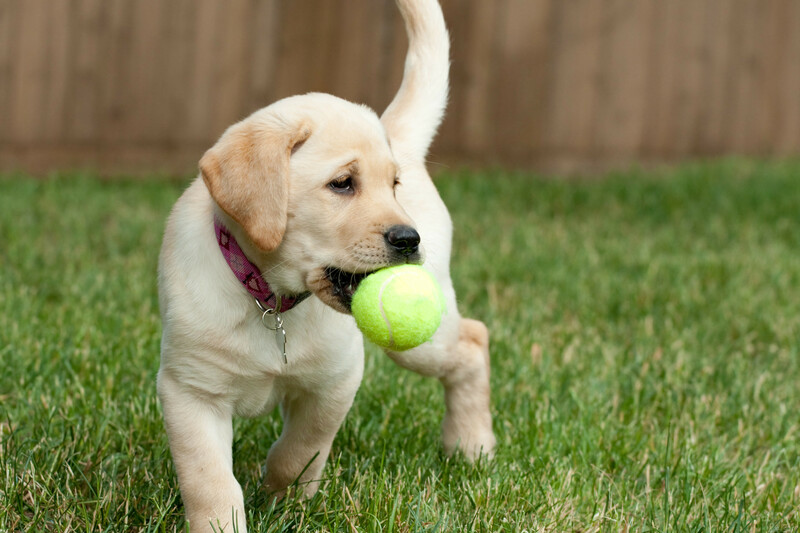 Use a reward and make the growing and exploration process as fun as possible for your puppy. Adult dog chewing can often be attributed to boredom, compulsive behavior, or just simply for fun. Again, it is important to teach your dog what is okay to chew and what is not. Chewing can be destructive or dangerous. Therefore, it is especially important to know how to discourage and correct chewing behavior. 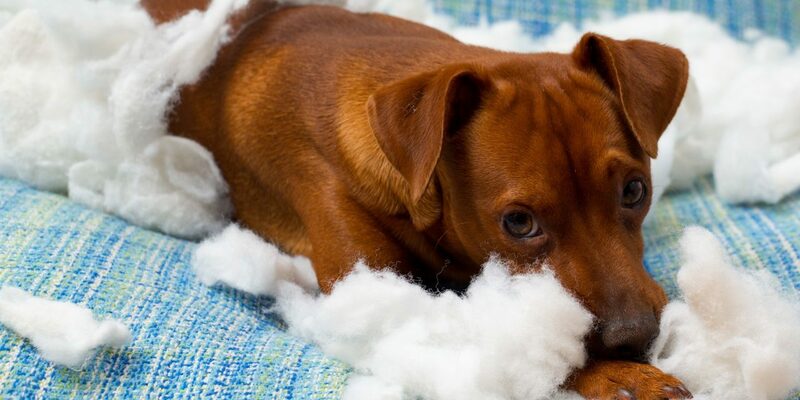 Compulsive disorders cause dogs to obsessively chew on themselves or an item. 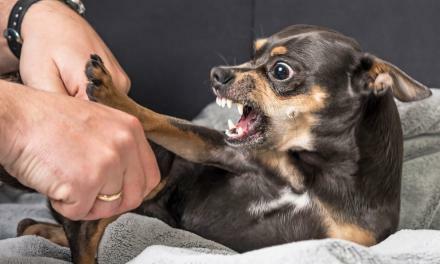 Discouraging this behavior when you notice it and redirect your dog’s attention to something more positive (such as something they are allowed to chew on, taking them for a walk, etc.). This is a good way to begin teaching your dog not to compulsively chew. Compulsive chewing is hard to change once it has been well established. So don’t ignore puppy chewing! Often times these habits can escalate and get much worse over time. 2. 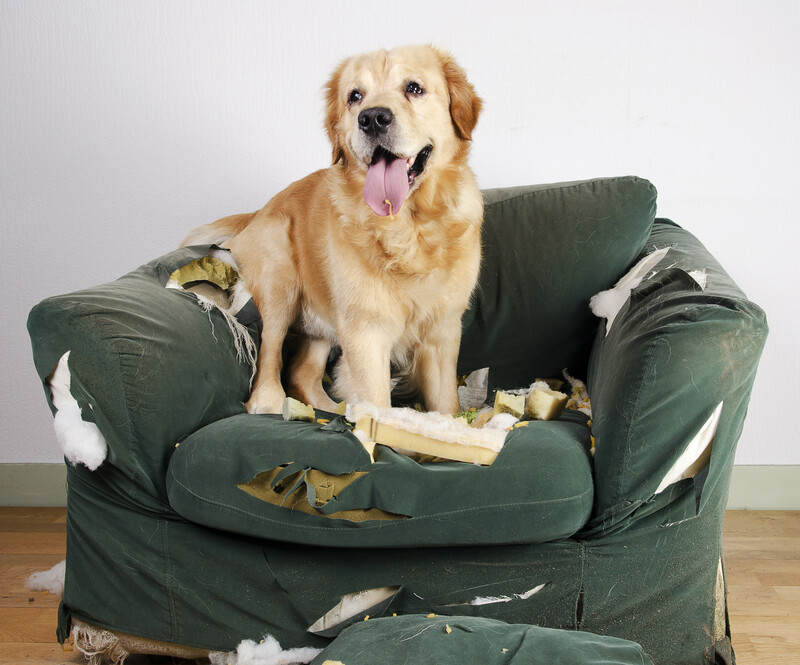 Destructive behavior occurs when dogs simply enjoy destroying things. We most often see this when dogs shred or tear apart an object. Redirecting your dog’s energy towards exercise is a good way to keep him from destroying things. Rather than releasing his energy on chewing, your dog releases his energy through exercise. 3. Dogs are smart. They learn quickly what we do and do not tolerate from them. Sometimes dogs will chew something they know is unacceptable because they know it gets your attention. To these dogs, any attention is good attention. To these dogs, even when we intend to punish our dogs, we are actually rewarding them with our engagement. Rewarding your dog in this way for doing something wrong is allowing him to seek “negative attention”. 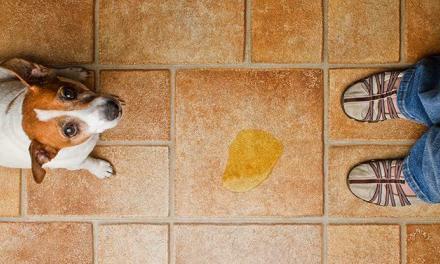 Make sure your dog is supervised at all times and does not have access to items he is not supposed to chew on. Of course, be sure to give him plenty of positive attention when he deserves it! 4. 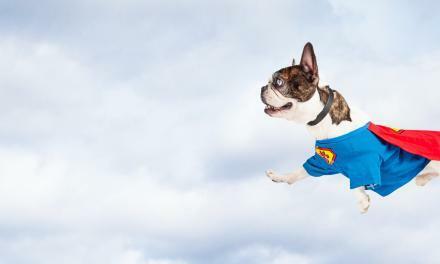 Dogs commonly chew clothing while their owners are away. This is because your clothes smell like you, and therefore become a huge target for dogs! Don’t leave ANYTHING laying around that you do not want to risk your dog chewing and destroying. By far, focus all your energy on preventing chewing! Chewing is more manageable the sooner you start implementing rules. Start at a young age when your dog is a puppy to teach them what is acceptable to chew on and what is not. Take things one step at a time. Address behaviors one by one. Start small when teaching your dog patterned habits. You cannot expect to fix your dog’s behavior over night. Crating your dog is the surest way to keep him out of trouble. Consider your dog’s crate his babysitter; putting them in an area where you are confident they cannot have access to things that may get them into trouble. Especially with puppies, use positive training! Although negative reinforcement will work, keeping your training as positive as possible will boost your dog’s confidence, strengthen your bond, and ultimately get you further quicker with teaching your dog the behaviors you expect of him. Sprays are a good way to implicate a mild negative association with unwanted chewing behavior. Using a squirt water bottle to squirt (not soak!) your dog when he is chewing will redirect his attention to you. Remember to give your dog something to do after taking away what he was previously chewing on. Deterrence sprays such as Bitter Apple will apply a bad taste to an object that will discourage a dog from chewing. Put in practice and time. Good, solid raining occurs with repetition. Chewing is probably one of your dog’s favorite things to do and one of the easiest ways to reward him. With any privilege given to your dog, chewing behavior needs to be carefully trained and monitored. 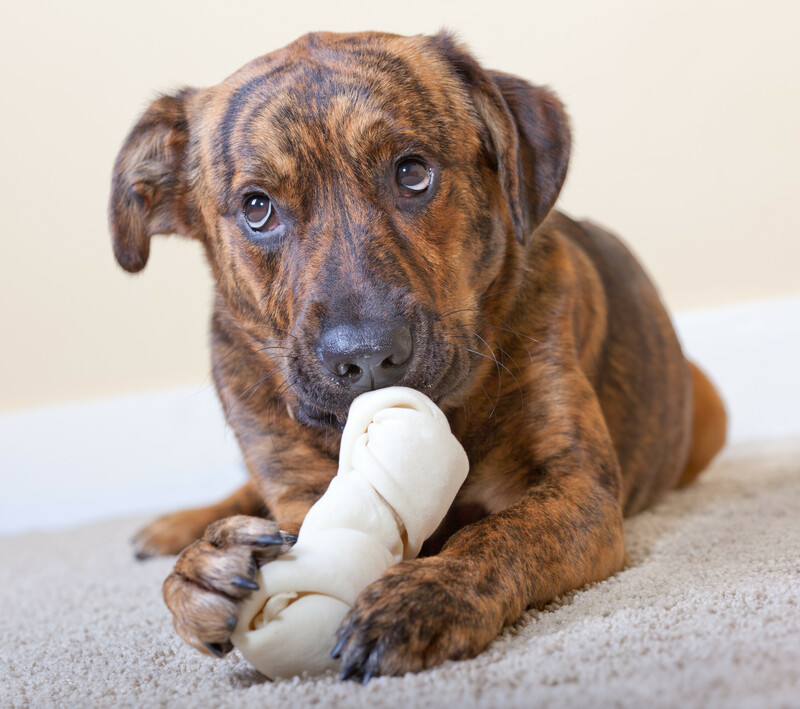 Making sure your dog doesn’t have access to objects that are unacceptable to chew, and making sure he knows to chew on safe and appropriate toys is the best way to allow your dog to keep his favorite hobby and stay out of trouble. Be patient and forgiving when trying to enforce or discourage new chewing habits. The hard work of both you and your dog will pay off. PreviousIs your dog afraid of fireworks or thunder?